As New York City's Garment District struggles to maintain a foothold in the fashion industry, David Gensler, founder of the Keystone Design Union, a Brooklyn-based design consultancy, and apparel label Serum Versus Venom, has it figured out. As the mastermind of Brooklyn Sewn, a new in-house fashion atelier in Williamsburg, Gensler is working to keep the tradition of creating high-quality garments in Gotham alive. By offering everything from pattern-making to small production runs, Gensler is banking on the ethos "if you build it, they will come"—"they" being local designers and brands looking to produce their wares on a small, accountable scale. Six months into Brooklyn Sewn’s launch, Gensler already has plans to more than triple the existing 12,000-square-foot-space and expand its menu of services. Manufacturing locally offers a host of advantages for designers, foremost of which is the ability to deal with snafus quickly and expediently. 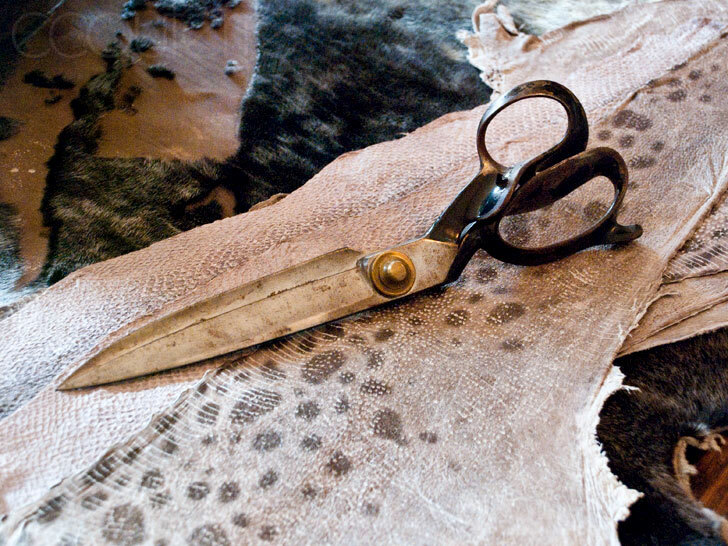 You don’t have to second-guess the work conditions in far-flung factories; Brooklyn Sewn welcomes clients to speak with the people who bring their garments to life. “The more you control the process, the more you control your fate,” Gensler tells Ecouterre. Rather than wait months for samples to cross oceans, designers can stay nimble by making tweaks and changes on the spot. You don’t have to second-guess the work conditions in far-flung factories, either. 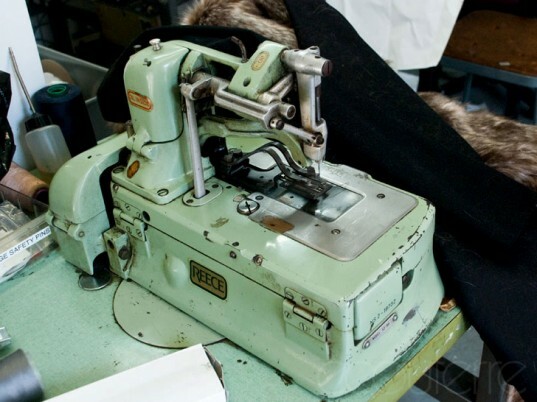 Facilities like Brooklyn Sewn welcome clients to speak with the people who bring their garments to life. Because Brooklyn Sewn shares a space with the Keystone Design Union, Gensler’s branding agency, designers can also take advantage of the strategic and marketing services on tap. In a media-saturated world, effective branding has become a key determinant of success. It’s no longer enough that a product speak for itself. “The image is worth more than the object because the image is consumed more,” Gensler says. In addition to serving other designers and brands, Brooklyn Sewn will also function as the primary production quarters of Serum Versus Venom, Gensler’s “anti-mass-agenda” clothing line. The antithesis of mass-marketed, mass-produced, and mass-consumed fashion, SVSV uses reclaimed fabrics to construct its menswear and jewelry. Drawing inspiration from military history, SVSV’s latest collection includes shirts and jackets made from vintage army gear. Drawing inspiration from military history, SVSV’s latest collection includes shirts and jackets made from vintage army gear and uniforms. Authentic details abound: A former soldier’s name, for instance, can be found scrawled on the back of a shirt constructed from an old army tent. Upon closer inspection, you’ll even find rips in the fabric that were diligently patched over by its owner. The collection also features recycled denim, certified-organic slub chambray, and chunky knits from Roopa Knitting Mills in Toronto. Gensler wasn’t always entrenched in fashion. He spent more than 10 years in high-level advertising positions, including a stint as chief executive of marketing at Rocawear. It was there that he learned firsthand about mainstream fashion and its many efficiencies. Scale, he decided, was key. By working on a small scale, a designer can focus on crafting high-value, high-quality products. By working on a small scale, a designer could focus on crafting high-value, high-quality products. It took a hoodie to galvanize his thoughts into something tangible, however. “I wasn’t looking at runway shows. I was looking at this weird fashion that had a functionality to it,” he says. “From an industrial design standpoint you’re always more focused on the material and its function.” After noticing how everyone favored a variation of the same hooded sweatshirt, Gensler decided it was as good a start as any. He couldn’t resist his own twist, of course. Thinking of London’s famed Saville Row, Gensler asked himself, “What would a gentleman’s hoodie be?” He got to work creating hoodies made from vicuña wool, harvested from a relative of the llama that lives in the Andes. From there, his role as a fashion designer grew. Gensler expresses frustration over the fact that “sustainability,” originally an economic term, has been co-opted as a marketing tool. For a proper discussion about sustainability, he stresses, you have to examine the humanitarian, economic, and environmental impact of a product in its entirety, from materials sourcing and manufacturing to production and sales. With SVSV and Brooklyn Sewn, Gensler wants to redefine and create a 3rd Ward for fashion. Brooklyn Sewn: An In-House Fashion Atelier Redefining "Made in NYC"
Six months into Brooklyn Sewn's launch, Gensler already has plans to more than triple the existing 12,000-square-foot-space and expand its menu of services. Manufacturing locally offers a host of advantages for designers, foremost of which is the ability to deal with snafus quickly and expediently. 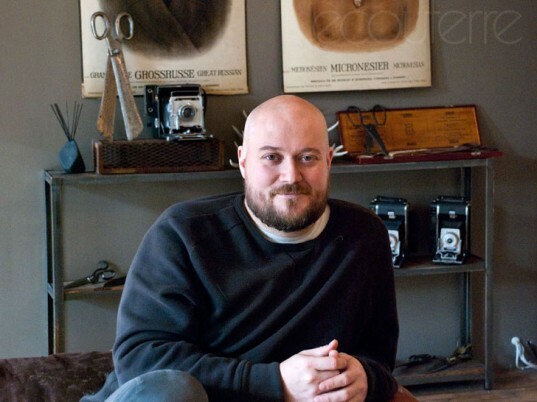 “The more you control the process, the more you control your fate,” Gensler tells Ecouterre. Rather than wait months for samples to cross oceans, designers can stay nimble by making tweaks and changes on the spot. You don't have to second-guess the work conditions in far-flung factories, either. 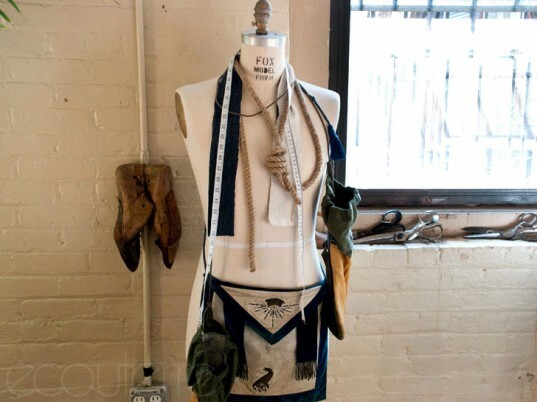 Facilities like Brooklyn Sewn welcome clients to speak with the people who bring their garments to life. Because Brooklyn Sewn shares a space with the Keystone Design Union, Gensler's branding agency, designers can also take advantage of the strategic and marketing services on tap. In a media-saturated world, effective branding has become a key determinant of success. It's no longer enough that a product speak for itself. “The image is worth more than the object because the image is consumed more," Gensler says. In addition to serving other designers and brands, Brooklyn Sewn will also function as the primary production quarters of Serum Versus Venom, Gensler's "anti-mass-agenda" clothing line. The antithesis of mass-marketed, mass-produced, and mass-consumed fashion, SVSV uses reclaimed fabrics to construct its menswear and jewelry. Drawing inspiration from military history, SVSV's latest collection includes shirts and jackets made from vintage army gear and apparel. A former soldier’s name, scrawled on the back of a shirt constructed from an old army tent. Rips in the fabric, diligently patched over by its owner. Gensler wasn't always entrenched in fashion. He spent more than 10 years in high-level advertising positions, including a stint as chief executive of marketing at Rocawear. It was there that he learned firsthand about mainstream fashion and its many efficiencies. Scale, he decided, was key. By working on a small scale, a designer can focus on crafting high-value, high-quality products. After noticing how everyone favored a variation of the same hooded sweatshirt, Gensler decided it was as good a start as any. He couldn't resist his own twist, of course. Thinking of London's famed Saville Row, Gensler asked himself, “What would a gentleman’s hoodie be?” He got to work creating hoodies made from vicuña wool, harvested from a relative of the llama that lives in the Andes. From there, his role as a fashion designer grew. Gensler expresses frustration over the fact that "sustainability," originally an economic term, has been co-opted as a marketing tool. For a proper discussion about sustainability, he stresses, you have to examine the humanitarian, economic, and environmental impact of a product in its entirety, from materials sourcing and manufacturing to production and sales. With SVSV and Brooklyn Sewn, Gensler wants to redefine and create a 3rd Ward for fashion by focusing on process, quality, and transparency. “We do not adhere to a traditional seasonal calendar, because the old system is no longer relevant to consumer behaviors and expectations,” he says of SVV. The label's manifesto might as well be Gensler's own: "We believe passion and obsession equal unsurpassed quality."